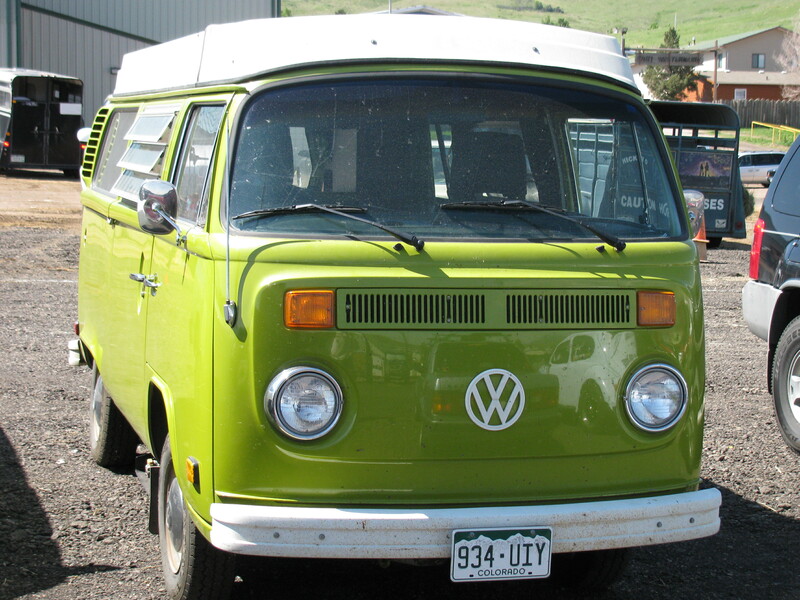 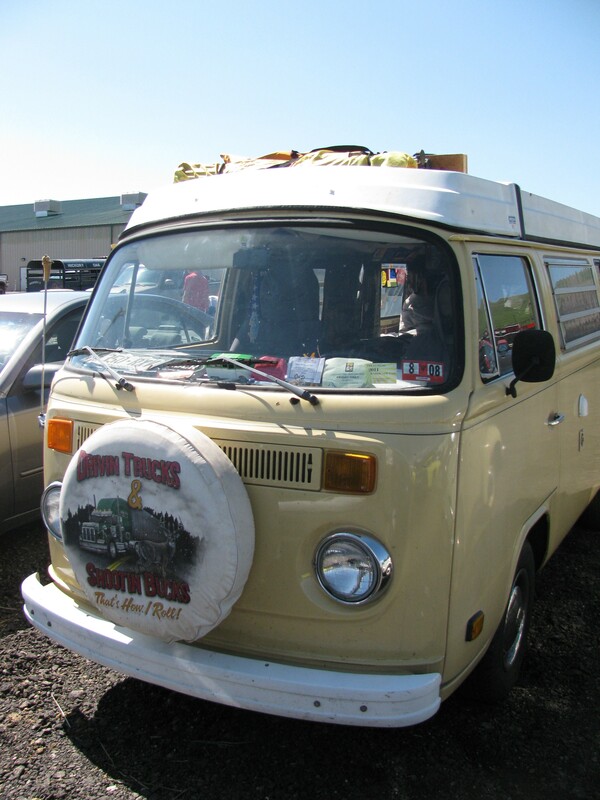 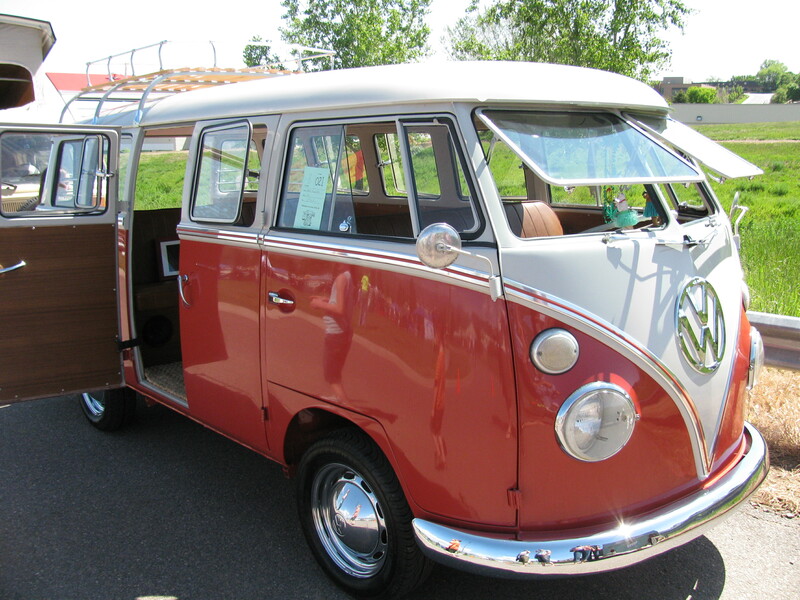 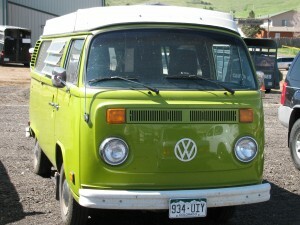 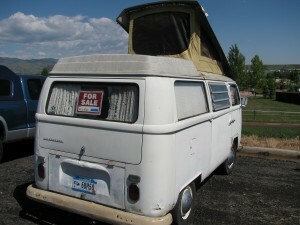 So for the last three years I have been saying that I would drive Gus to the next VWs on the Green show. For the past few months I have been working to get Gus roadworthy, and it’s finally paying off. 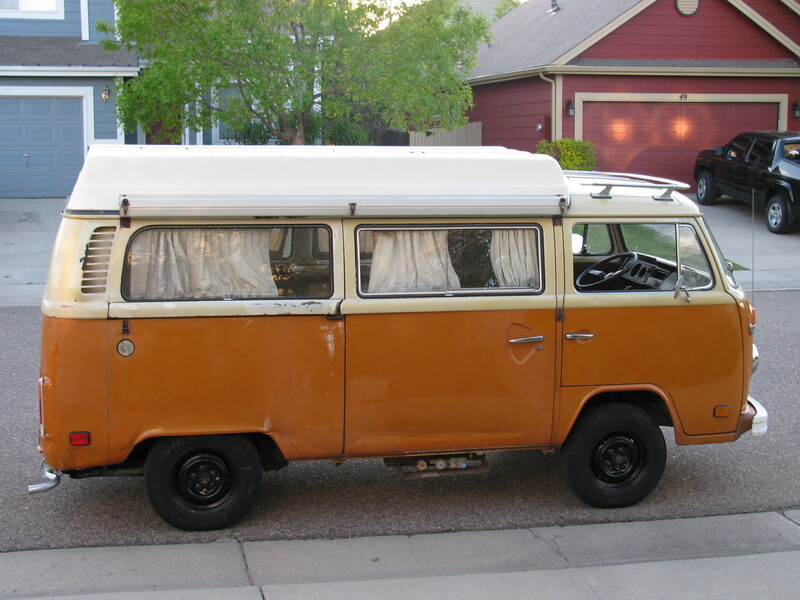 Here he is with new wheels and tires, muffler installed, just after a drive around the neighborhood. But could he make it the 20 or so miles to the show? 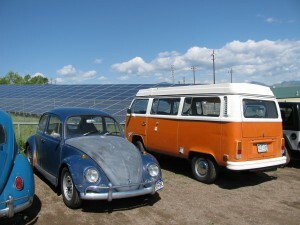 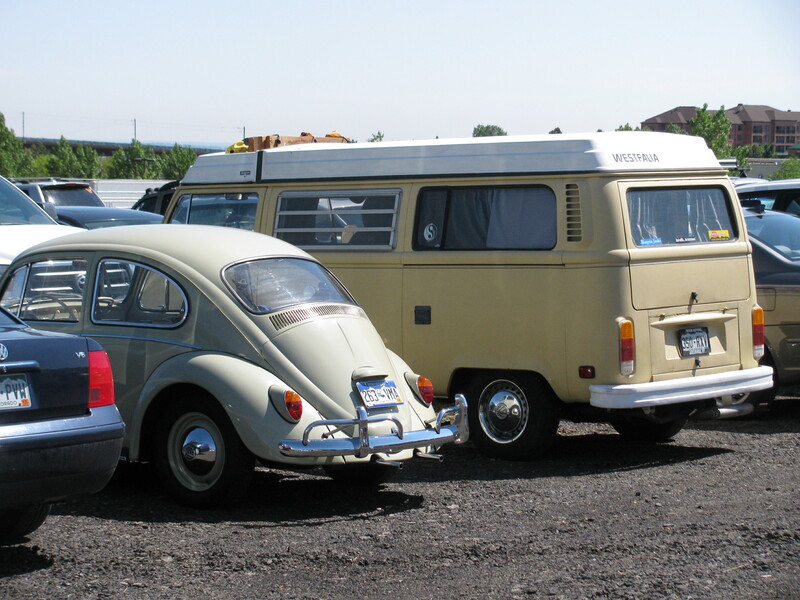 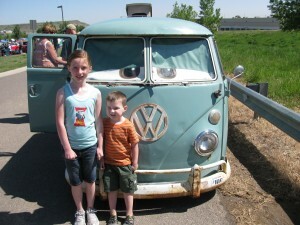 Here my two little VW lovers pose next to a single cab VW bus. 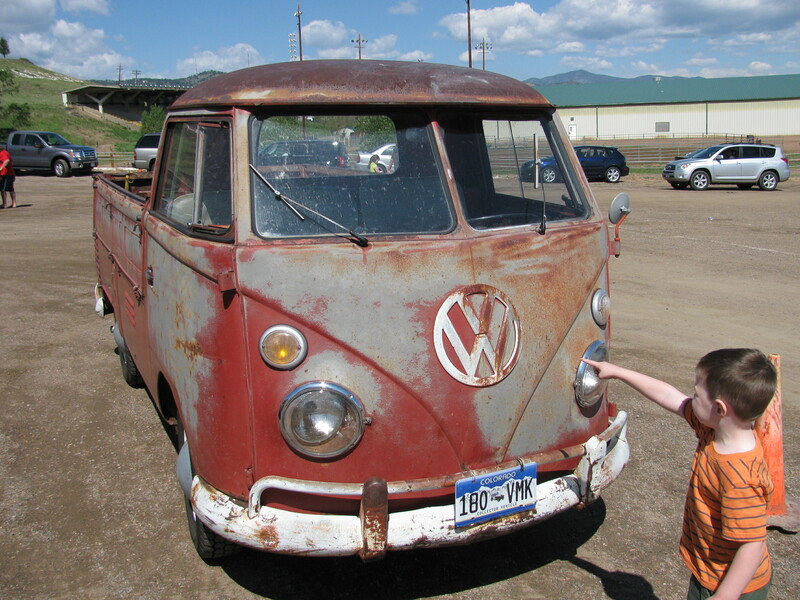 “Look Daddy, it’s a big VW logo!” He loves pointing out the VW logos whenever he sees them. Hmmm…do I need another bus? 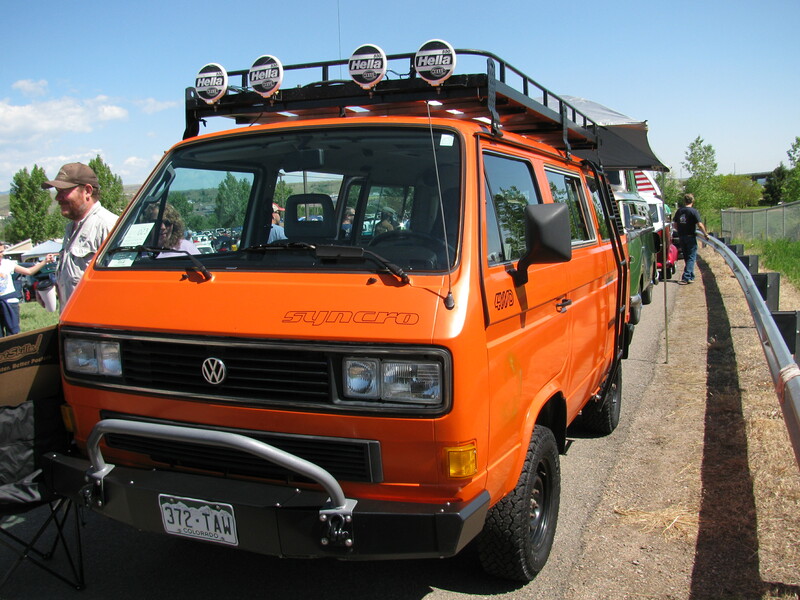 I’m a sucker for orange VW’s. 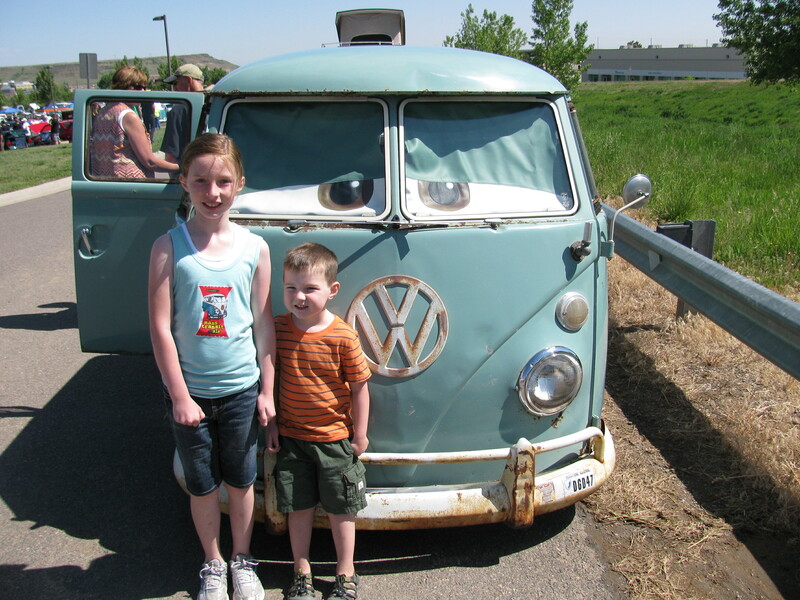 We finally made it into the show, and Fillmore from the Disney movie Cars (and Cars 2) was the first bus we saw. 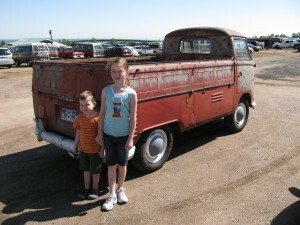 The kids seem to like him. 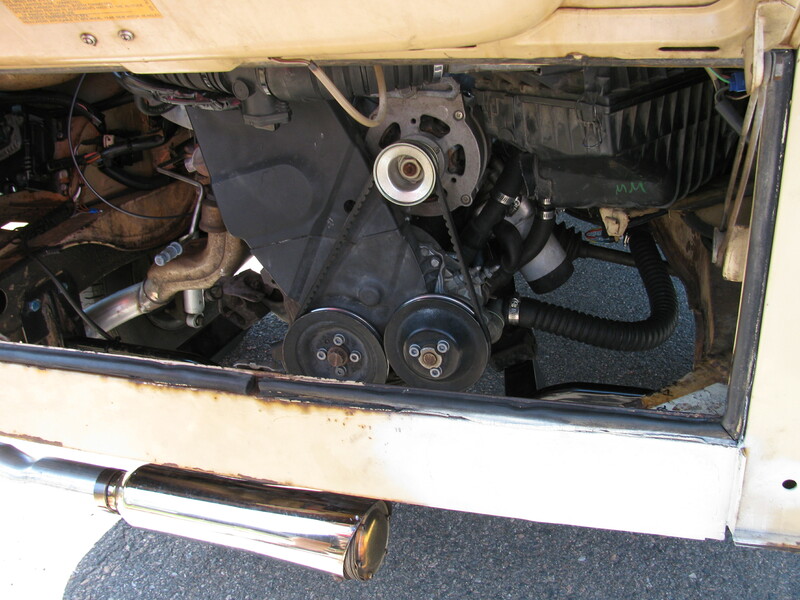 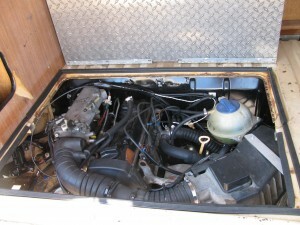 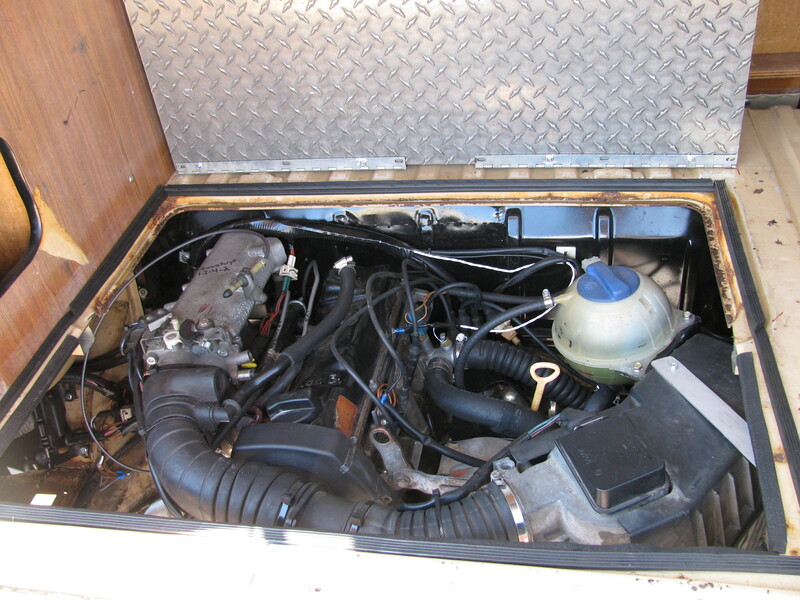 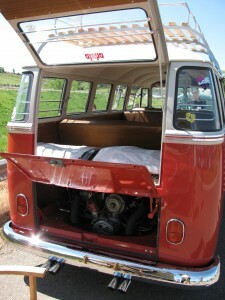 This is a watercooled Jetta engine in a VW bay window bus. 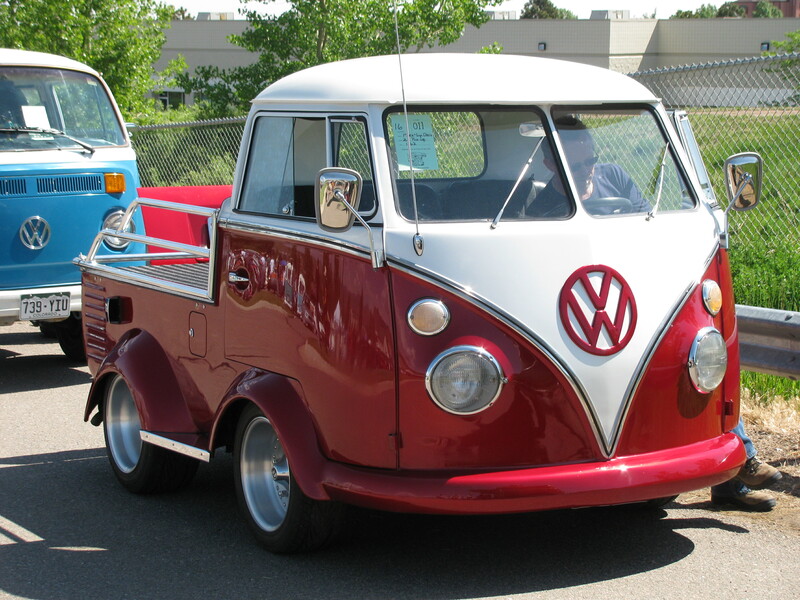 Pretty slick. 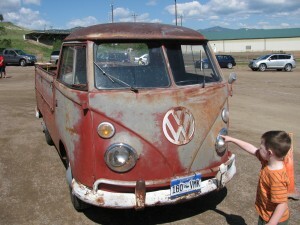 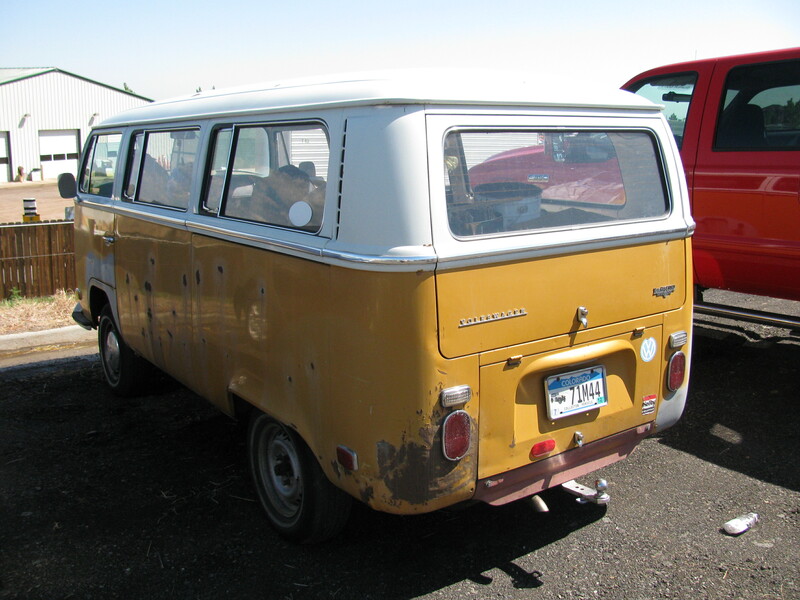 I don’t think I’ve ever seen a shorty single cab before – the kids liked this one. My dream vehicle. 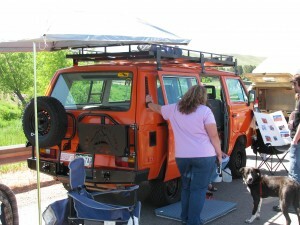 The Vanagon Syncro 4×4. 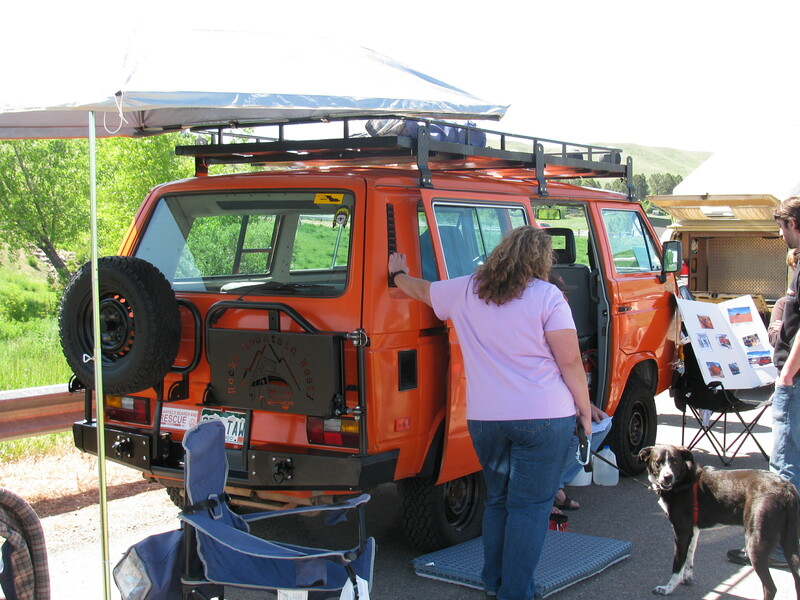 In orange, of course. You will be mine…one day.